BGO's fourth studio album transcends time ... literally! Hello ... Hello ... my old friends ... It's great to see you once again! With three impressive albums under his belt, Bubble Gum Orchestra [BGO] supremo Michael Laine Hildebrandt really had nothing to prove with this, his fourth release. "Out Of This World" , "BGO II"  and "The Discovery"  were all well received and, of course, were a glowing testament to the songwriting prowess, musicianship and production values of this Lewisville, Texas based artiste. "Beyond Time" is beyond expectation. 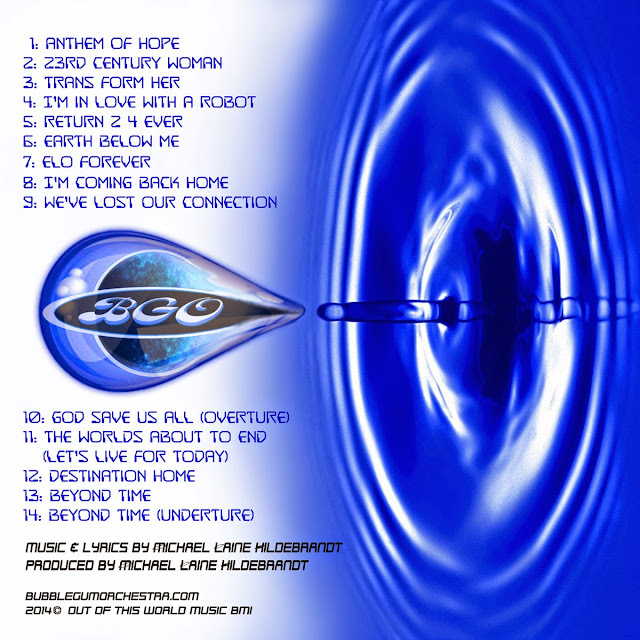 Without a doubt, ELO's second concept masterpiece "Time" - with its earthbound theme of time travel and a yearning for a return to a much simpler 1981 from a plastic and emotionless 2095 - is a major influence for BGO IV ... in a musical, lyrical and artistic sense. In many respects, this album is a transition. The sound is different, the themes are familiar yet the artwork depicts immense change. 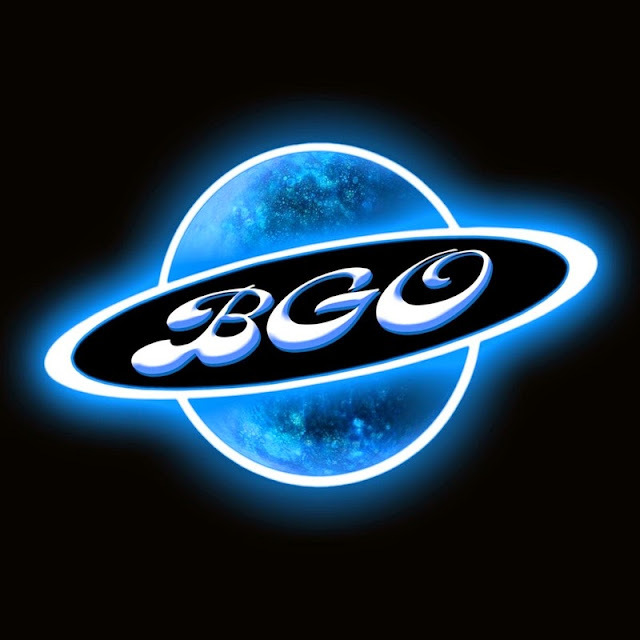 There's also a new BGO logo on show too! "Beyond Time" could easily be termed "Time Part II" but with a location "Beyond Time", this stellar release - in many ways - is relatively unconstrained. The big difference between this album and its predecessors is the addition of a certain prized Tom Scholz model Les Paul guitar and the debut of MLH's five  string Warwick bass [replete with that low 'B' string!]. The production is ELOesque and relays the real step change taking place with much, much more prominent guitar throughout. Whether it is those driving Les Paul chords, the sweet guitar licks, the perfectly positioned strings, the throbbing heartbeat of the Warwick bass, the inventive programming, the Morse code dotting and dashing in the background or the frequent robotic overtones, any admirer of Jeff Lynne's 1981 concept classic really should love this album upon first listen. "ELO Forever", the catchy lead single, sits in the middle of "Beyond Time" as the album event horizon with "Anthem Of Hope" acting as the album "Prologue" and "Beyond Time [Underture]" the "Epilogue". The parallels between ELO and BGO are apparent throughout without the latter plagiarising the former. Indeed, both "Time" and the heavier "Beyond Time" are perfect sonic partners. 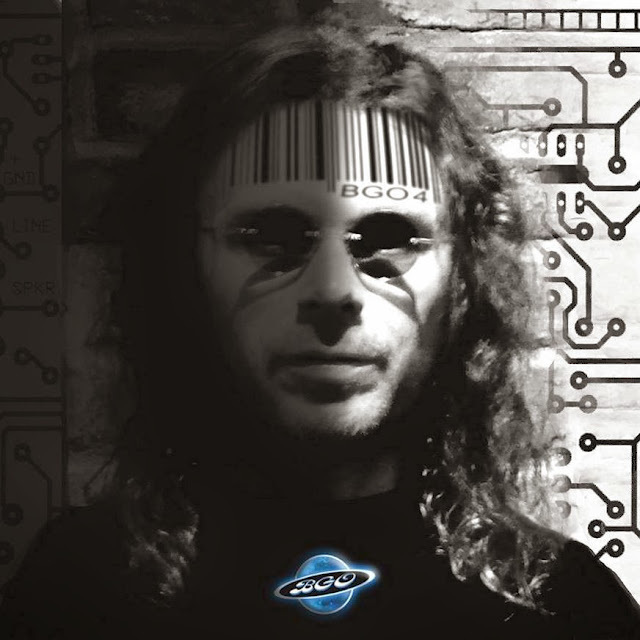 The dreamy "21st Century Man" of ELO contrasts with the bittersweet "23rd Century Woman" of BGO yet the themes of "Yours Truly 2095" and "I'm In Love With A Robot" completely interlock. "Return 2 4 Ever" and my personal favourite "Earth Below Me" [with a truly amazing guest guitar contribution by Pete Hackett from: Cult of Wedge] are simply awesome songs. Strong in melody and full of BGO magic with superb lyrics, sweet harmonies and the odd unforgettable chorus! "I'm Coming Back Home" [a song dedicated to the late Brad Delp from ELO's American contemporaries Boston], "We've Lost Our Connection", "The World's About To End [Let's Live For Today]" and "Destination Home" [featuring the trumpet talents of Steve Howard and an intro that is a marvellous nod to Pink Floyd's 1994 classic "Coming Back To Life"] continue this impressive roster of tracks replete with the longing and loneliness of deep space balanced by the high ideals of love and hope. The album closer and title track "Beyond Time" is a return to familiar BGO musical territory but this time with a pensive and soul searching message for redemption from the place known as forever. This album has been played multiple times by ELO Beatles Forever [ELOBF] in the last couple of months and still it is fresh and invigorating. That, my friends, is the mark of a great album. "Anthem Of Hope: The start of the journey into Beyond Time. Lost in Forever and never giving up on hope is the message here. 23rd Century Woman: Reminiscing back to the year 2395 to the love he once knew, sadly realising that her heart was nothing more than a user and an android confuser. Trans Form Her: A tale of four beauties who came from the future but live in the past yearning to be forever human but knowing that they will never be anything more than machines. I'm In Love With A Robot: Feeling overwhelming let down by the female of the human species and the demise of the human race, he builds what he hopes will be the perfect woman and programs her to love him. Return 2 4 Ever: Gravity is pulling him so far away from her that it makes him realise that returning to a distant place in time is the only way to deal with the pain of her departure. Earth Below Me: Floating through the stars while dreaming inside the big blue ship with high hopes of returning to Earth someday - if the planet survives. ELO Forever: Inspired by a forgotten hero ... a song is born. I'm Coming Back Home: So very far from home and feeling so alone, he misses her human touch so very much. We've Lost Our Connection: Praying to the falling stars and not wanting to feel loss again, he let's go for the last time. God Save Us All [Overture]: God save us through this broken land, God save us on your divine plan, God save us on this broken planet now. The World's About To End [Let's Live For Today]: All the planets are gone while only Earth remains, which leads to the devolution of the Human race asking: "Who will save us from ourselves?". Realising that all along, Love will prevail and Good will hopefully conquer evil. Destination Home: So happy to finally go home but a malfunction in the big blue ship leaves him stranded alone in space for eternity. Beyond Time: Daring to ask and dream about what comes next beyond the Great Beyond for us all. Beyond Time [Underture]: The finale and goodbye to a place called Beyond Time." We are blessed, humbled and speechless here in BGO land. Thank you ELOBF & KJS for your "BEYOND" Kind Words!!! I agree totally with Keith's review. He puts it much better than I could though :) I was pivilaged enough to receive a copy of Beyond Time a few weeks back and I've hardly listened to anything else since. The first time I played it I was stunned and immediately wanted to play it again. That doesn't happen often for me these days. I took it to Cornwall on an MP3 player last week and listened almost every day. This week I've been at home and listened several times to the CD on headphones in the garden. I must have listened 30 times or more now and still find it exciting and thrilling to listen to and also still hear new things. My favourite track is also Earth Below Me but every single track is superb. The best album, by anybody, I have heard in a long time and I really genuinely mean that. "EARTH BELOW ME", Great arrangement Mike. Beautiful! This is your best album by far. Very cleaver lyrics. You're f**king awesome Mike! I really love the lyrics. I'm still in Love with that robot!... "she gives me what I need".